Atek, Inc. is located in Orange County, California and has been supplying custom cable assemblies & wire harnesses to customers in various industries worldwide since 1996. We provide our customers, who are mainly manufacturers, designers, and/or integrators of various types of electronic devices, with the dual benefits of offshore pricing and onshore service, including great communication and the high level of technical expertise that can only be developed from 20+ years of experience. Because we are obsessed with providing responsible and responsive service, working with us will make your life easier, keep your projects on schedule, and result in delivery of both good cable assemblies AND a good experience! Please note that we generally only do order quantities of over 200. Why come to us instead of going directly to China? 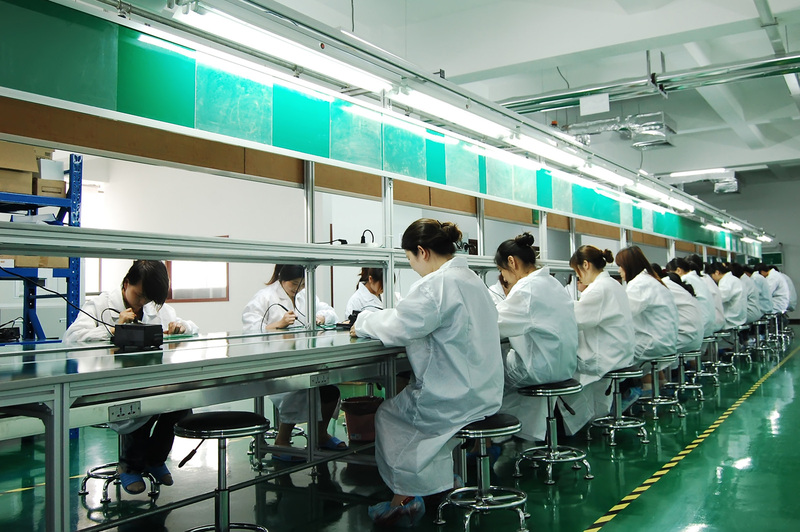 Our production facilities in China are ISO certified and our cables are RoHS-compliant and guaranteed to match your approved specifications and samples. 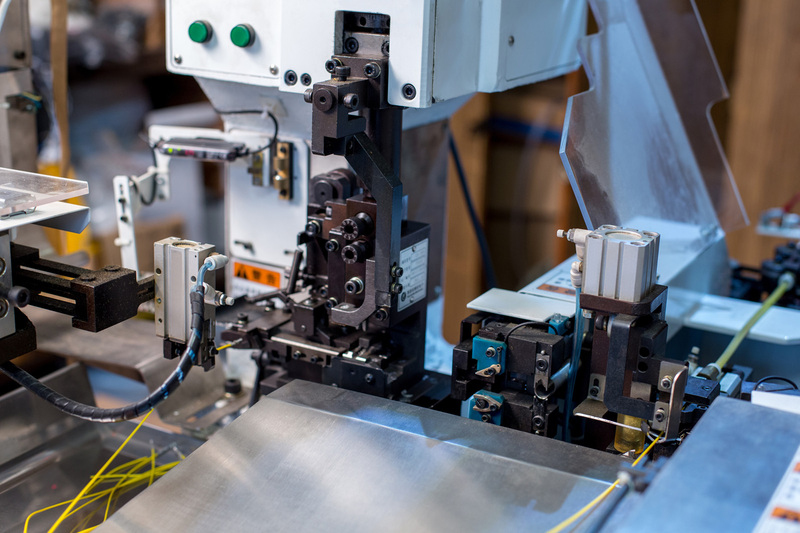 We do not compromise on quality – everything we quote and manufacture is made using top quality components, including connector housings, terminals, wire, fuses, PVC and corrugated tubing, braided sleeving, and other accessories. Whenever possible, we use UL listed parts and materials. We make many kinds of cable assemblies and wire harnesses, including non-molded and molded ones with multi-conductor jacketed cable, flat cable, and discrete / hook-up wire. We can use special materials as needed and can meet special requirements such as extreme temperature environments. We do cutting, stripping, tinning, crimping (including IPC/WHMA-A-620 Rev. A compliance), soldering, terminating, splicing, twisting, sleeving, tubing, heat shrinking, taping, coiling, and molding. Atek also offers custom tooled and molded enclosures, housings, overmolds, grommets, and strain reliefs. We also do PCB fabrication and assembly and can overmold circuit boards using low pressure / low temperature overmolding processes. 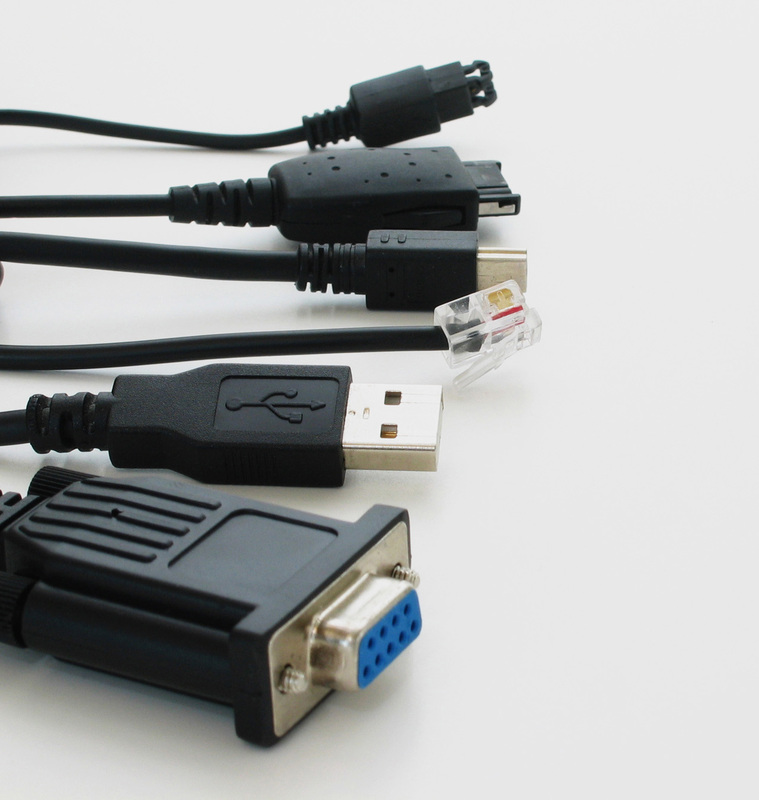 We make cable assemblies for a wide range of uses, including sensors and instruments, displays, point-of-sale (POS) scanners and terminals, kiosks, and many other kinds of devices and equipment. One of our areas of particular strength is automotive aftermarket cable assemblies, including vehicle telematics and diagnostics. We have become a top worldwide supplier of custom cable assemblies for aftermarket OBD-II and Jbus devices (including with built-in printed circuit boards). We have unsurpassed expertise and experience designing and manufacturing various types of automotive aftermarket straight, right-angle, pass-through, and low profile cable assembly solutions, including for OBD-II / J1962, Deutsch / Jbus / J1939 / J1708, CAN, CIA-447, GPS, telematics, tracking, data capture, monitoring, and diagnostics. We make J1939 & J1708 electronic logging device (ELD) / hours of service (HOS) cables for various makes of heavy trucks, and we also make OBD-II ELD/HOS cables for Mack/Volvo trucks and for true OBD-II light trucks. Nobody knows ELD cables better than Atek. Prevents interference between a telematics device and a diagnostics scan tool when both are plugged into the splitter at the same time. Prevents interference between multiple OBD-II devices (such as telematics, fuel system, police radar, and diagnostics). This ultra short overmold is great for various applications, including when the OBD-II vehicle port has a cover as well as when connector protrusion distance in the foot well area is a concern (i.e., the “bumping knees” problem). Our American designed and engineered state-of-the-art tracking dongle with GPS, Bluetooth, and cellular protrudes only 1/2 inch from the OBD-II port, solving a common problem of typical dongles that protrude 1-1/2 to 2 inches and cause driver inconvenience and safety concerns. Great for usage-based insurance (UBI) and other applications. We make equivalent cables for CalAmp LMU-3030, LMU-4230, etc. For various applications, including CalAmp LMU-3000 series, Enfora / Navman, and other OBD-II (16-pin J1962) and Jbus (6-pin and 9-pin Deutsch) applications. This bracket can be used to convert a snap-mount OBD-II female connector to a flange-mount (screw-mount) type. We have standard (snap-mount and flange-mount / screw-mount) OBD-II connectors as well as a variety of non-standard types, such as for BMW, Mercedes-Benz, Citroen, Peugeot, Volvo, Jaguar, Land Rover, and VW. For light trucks – generally more common in Europe than in the US. Wire harnesses using Deutsch HD10 series or Amphenol round connectors, including the new higher bandwidth J1939 type II (green color) Deutsch connectors. 90-degree cable exit orientation available for overmolded Deutsch connnectors. We make various types of power conversion automotive cables, such as 12VDC (cigarette lighter plug or OBD-II) to 5VDC (such as USB), and voltage bucking to constant 12VDC. Avoid hard-wiring to ignition sources and lower your labor costs by using this leading-edge smart cable that automatically tells your device whether the vehicle engine is on. Custom engineered intelligent cables for converting specific data from one protocol to another. Super miniature OBD-II and Jbus (J1939 and J1708) with GSM, GPS, Bluetooth (including Bluetooth Low Energy – BLE / BTLE), and Wi-Fi for vehicle telematics, data collection, data logging, and other applications. 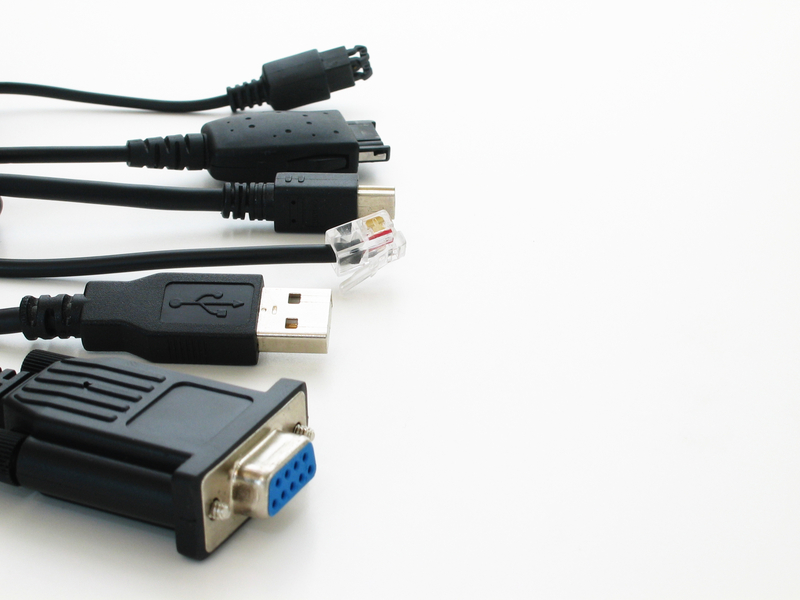 Various connector and cable configurations available. We offer high quality LEMO cable assemblies at very competitive prices. Email or call us for a quote or to discuss your needs. We can work from your descriptions, sketches, drawings, and/or samples. © 2005-2016 Atek, Inc. All rights reserved.